Samsung is one of the world’s leading manufacturers of not just robot vacuums, but they have put out many different electronic products throughout the years. One of these products happens to be the Samsung POWERbot R9350. In today’s review, we’re going to be taking a look at a few things. You’ll learn the features that this vacuum possesses, as well as the flaws that it has. And, you’ll also learn who, specifically, this vacuum is for, and if it is the right robot vacuum for you. Now, let’s begin with the features! What Features Does The Samsung POWERbot R9350 Possess? Let’s start with the obvious. As per the title, you’ve probably already figured out that this robot vacuum works with Amazon Alexa. Because of this, you can activate and use many of the vacuums features simply by saying the proper command aloud, to the Amazon Echo device. You can also do the same with any Google Home device. Naturally, this brings us to the myriad of features that the POWERbot R9350 possesses. Using Amazon Alexa, you can turn the vacuum on, and you can also create schedules for the vacuum. These are basic features that every robot vacuum offers – or, at the very least, should offer – and you can now access these features without even needing to press a button. Those are the two most basic features, and you have access to a few others. Such as telling the vacuum when to go back to the charging bay, and what cleaning mode to use. Of course, there is a good chance you don’t have an Amazon Echo or Google Home device, and that’s totally fine! You can also use the special app that Samsung has developed, which gives you access to all of those features, and a couple more that you can’t use with Amazon Echo or Google Home. There are two technologies that Samsung has introduced to this vacuum. They are “Visionary Mapping Plus, and “FullView Sensor”. These two technologies are very special because they do two key things that many other robot vacuums don’t have the ability to do. With Visionary Mapping Plus, while cleaning, the vacuum creates a detailed map of the entire floor. This information is then fed into your phone, which allows you to go onto the smartphone app, and to select individual rooms and spaces for the POWERbot R9350 to clean. 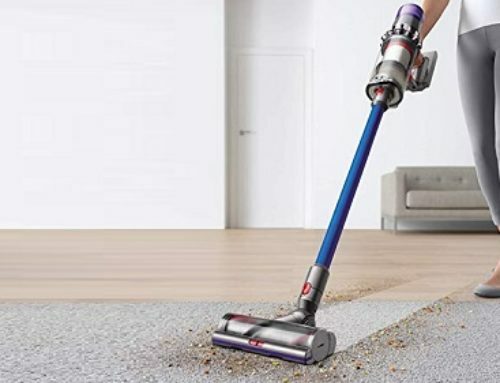 Now, if you want to clean an individual spot, you can simply take the remote control, and point a small light on whatever spot you wish to clean, and the vacuum will clean it. According to Samsung, compared to other robot vacuums, the POWERbot R9350 has 70 times as much suction! That’s a significant enhancement, and it’s done using CycloneForce Technology, which uses cyclones to quickly gather up debris, and then to break it apart to prevent the suction from becoming clogged or impeded. As for the brush, it is 12 inches long, and it is a combo brush. It has been designed to clean any surface, including thick carpets. Of course, every robot vacuum has a few flaws here and there. The Samsung POWERbot R9350 is no exception. Now, the Visionary Mapping Plus technology is great, but it has been known to produce inaccurate measurements, which can make it a little hard when you’re trying to select a specific room to clean. 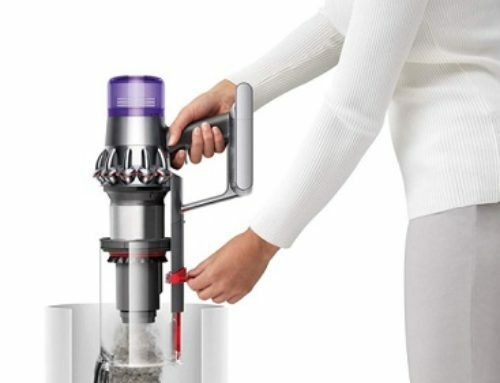 Along with that, the components used to make this vacuum are of somewhat shoddy quality, and some people have reported that it breaks after only one or two years, due to the bad components. Nevertheless, as robot vacuums go, the Samsung POWERbot R9350 Turbo is easily one of the most powerful, and efficient, on the market. 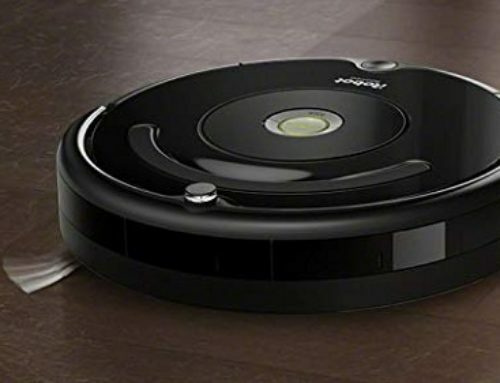 You have every possible feature you could need in this robot vacuum, and all of these things coalesce to form a very enjoyable and effortless robot vacuum experience. It must be said, however, that this is a “premium” robot vacuum, and so if you don’t need all of these features, then you should probably find a cheaper vacuum. The Samsung POWERbot R9350 is expensive. Well, that’s it for this Samsung POWERbot R9350 Turbo Review. We hope you found it helpful!